The President of Latvia Raimonds Vējonis and The Prime Minister of Estonia Jüri Ratas met in Riga on Friday to discuss future cooperation. Ratas has assumed office in late November, and the meeting was scheduled to inform Vējonis of Estonian government’s plans. The new PM of Estonia stressed that the new government would keep to the same foreign policy and security policy priorities as the previous governments, strengthening co-operation within the EU and NATO, the Press Office of the President of Latvia has informed. President Vējonis underscored the importance of co-operation between all three Baltic nations in the changing environment and called for joint efforts regarding security, energy, and infrastructure projects, such as in the implementation of Rail Baltica. 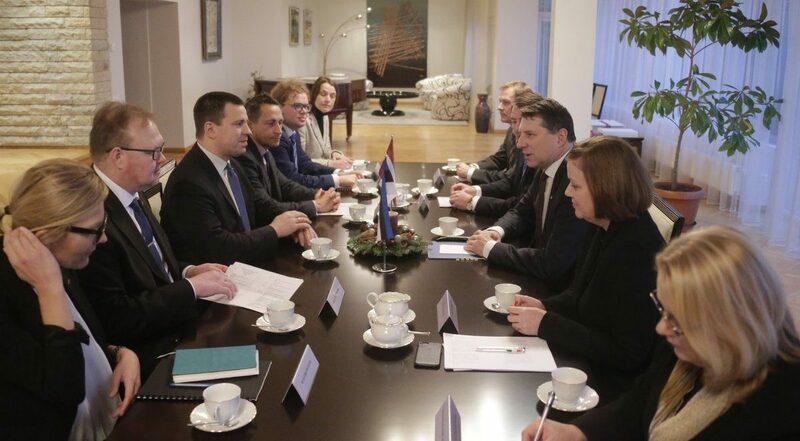 Common positions as regards the strengthening of security in the region were also discussed, with Vējonis and Ratas agreeing that it was important for NATO member states to ensure defense spending at 2 per cent of GDP. Estonia has already achieved this goal and Mr. President confirmed that Latvia is set to increase its defense budget to the required size in 2018. 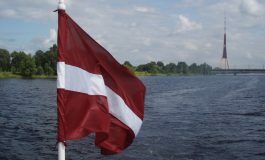 The President of Latvia also applauded the priorities of Estonia’s forthcoming presidency of the Council of the EU, namely development of the digital market and strengthening of co-operation with the EU’s Eastern Partnership countries. Jüri Ratas, 38, is 18th Prime Minister of Estonia. He is a known Estonian politician, the leader of the Centre Party and former VP of Riigikogu, the unicameral parliament of Estonia, as well as an ex-Mayor of Tallinn.